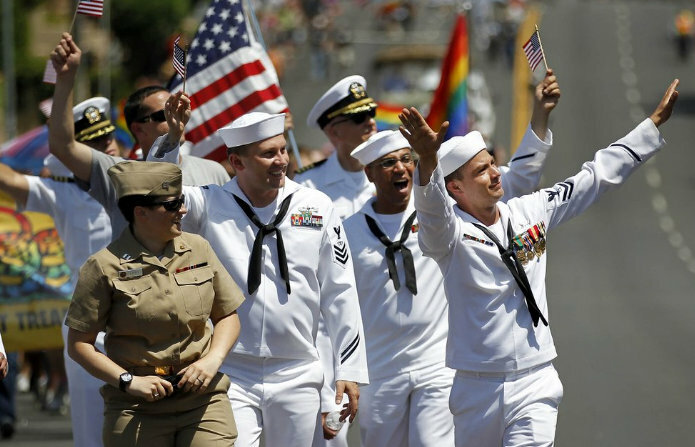 For the first time since the repeal of DADT, today in San Diego members of the military marched in a gay pride parade in full uniform. Earlier this week the Pentagon, which typically does not allow uniformed personnel to march in civilian events, said that it was making a one-time exception for San Diego Pride. 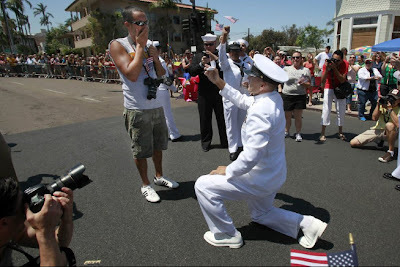 It appears that the parade included a proposal!